The benefits of Shea butter in skin care have been known for centuries. This all starts when the butter is extracted from the nuts of the Shea tree from the savannah of Western Africa. In the hot Sahara or Savannah, Shea butter protects the skin from the sun and dehydration. The Egyptian Queen Nefertiti was said to owe her legendary beauty to the use of this natural product. 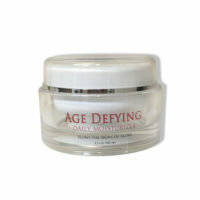 It has been used for centuries for its moisturizing, anti-inflammatory and anti-aging properties. You can find Shea Butter along with Tamanu oil in the Age Defying Cleanser to support healthy, supple skin. Shea butter contains vitamins and minerals such as vitamins A and E, as well as essential fatty acids that improve the skins texture and appearance. Vitamin A is important for improving a number of skins conditions, including blemishes, wrinkles, eczema, and dermatitis. 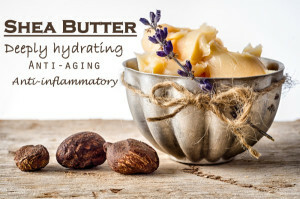 Shea butter has natural anti-inflammatory properties that have been known to heal scrapes, cuts and burns; relieve sunburn and rashes; take the sting out of insect bites; and ease the pain from muscle fatigue and arthritis. 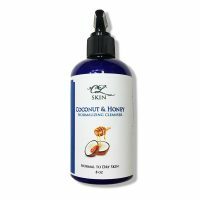 It is thought that the moisturizing properties are the same as produced by the sebaceous glands of the skin. This aids in protecting the skin from the sun damage and outside forces the dehydrate the skin causing wrinkles and other skin conditions. 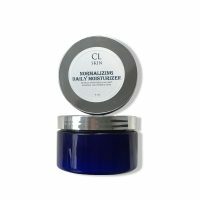 CL Skin hand and body lotions that utilize this gift from nature are perfect for everyday use. The exact benefit of the Vitamin E is not truly understood by scientists, although it has been described as effective in a number of conditions or circumstances. Among these include anti-aging, anti-free radical agent, and exerting a positive effect on increasing the micro-circulation, which results in increased blood supply to and from the skin. Second, vitamin E may serve by as an anti-free radical agent thereby aiding in preventing negative effects of the sun and environmental exposure. You can find Shea Butter in our Hand & Foot Herbal Therapy and Herbal Therapy Sugar Scrub for healthy, healed hands and feet.